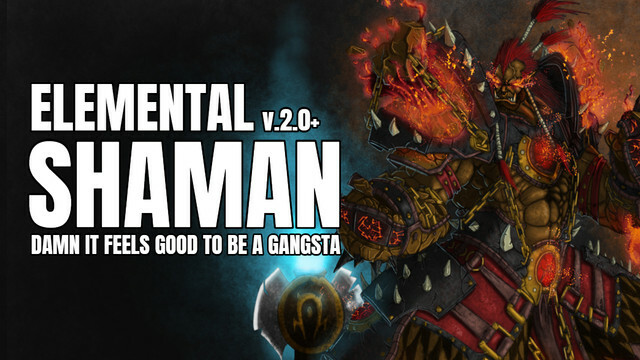 Leveled a Mag’har Orc Elemental Shaman from 20 to 110 for the heritage armor and boy was it fun ! Haven’t leveled a character in a long time. Anyhow this is perty much the build macros I was using for the time and still use (decided I want to blast him to 120 and get him up to doing mythics/raiding). ::: I fire this at 100 ::: No it is definitely not a one button does everything because you will have to bind your totems / elemental’s / kicks / etc ..
so make sure your mouse is on the enemy ..
noob question, why is the first talent different on the ST and the AOE versions? Thank you so much!! This is the first shaman macro that has got anywhere close to sim numbers!! just how close ? I didn’t sim nor test this macro at all .. this was what was created as I leveled up ..
Hi Would you be so nice and would tell me where I get the Elvui profiel? Don’t know how I missed this. Can’t wait to give it a try.